This post was developed in partnership with Similac. All opinions are my own. I suppose it was bound to happen. Even our pediatrician warned me about this supposedly normal occurrence. “Toddlers begin to act finicky about food. How is your son eating?” I beamed with pride as I told him my son was eating everything we put on his plate. I’m pretty sure he was eating more mature foods than even my daughter had … and I’d considered her a really good eater, too. Then, slowly, it happened. 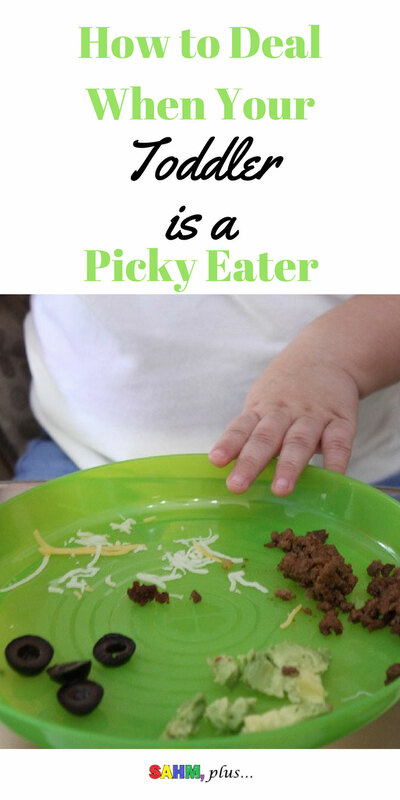 My toddler became a picky eater. He’d prefer the normal kid food over a regular healthy meal. Chicken nuggets, cheese quesadillas, and peanut butter sandwiches are his things. We’ve even had to resort to feeding my toddler M&Ms at dinner just to get him to eat. There’s a method to the madness, I promise. So, here we are navigating our days trying to get my son to eat a variety of healthy foods. As we do, I sometimes have no choice but to offer an unhealthy bribe just to get him to eat some of the good stuff. And with his finicky eating habits, I wonder if he’s getting the proper nutrients for his growing body. 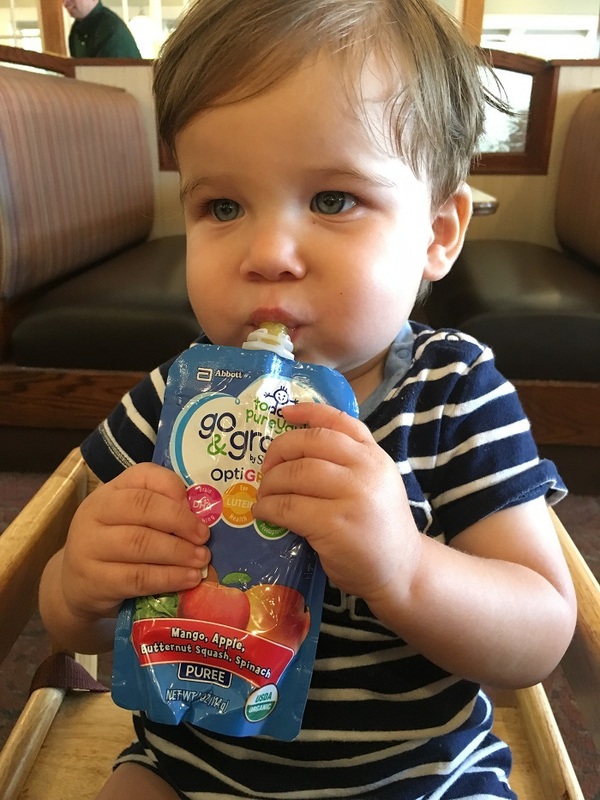 Recently, I heard about the new Go & Grow by Similac Pouches! These great new pouches are designed to help boost a toddler’s intake of nutritious fruits and veggies … because Similac understood this finicky toddler phase. Now, if you know me at all, you know I’m not opposed to tough love. I don’t get all crazy about whether or not my son eats. And, I won’t throw a bunch of junk food at him “so long as he eats something.” That concept doesn’t fly in this house. We practice a few things during the finicky eater phase. These things have worked with both my kids and I never experienced much mommy guilt over my children not eating. 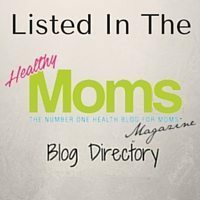 So what’s my secret sauce to getting through the hard time when the toddler is a picky eater? Is this a self-feeding battle? When your tot begins to act fussy about eating, evaluate whether or not this is a battle over how the food is being delivered. Sometimes my guy simply wants the spoon in his hand as he pushes the food around on a plate. He, of course, wants to scoop up food on his own, but will often allow me to help him. But, I dare not try to feed him myself or dinner is OVER! Maybe your tot just wants to practice feeding himself. Given the opportunity, he may also seek your assistance when he realizes he’s still not good at delivering food to his own mouth yet. It could be that your toddler is a picky eater because he wants to be more independent. Pouches are a huge hit, although B still really wants to feed himself. I can’t tell you how many times he’s squirted stuff everywhere as he squeezes a pouch over-zealously! Still, pouches are extra convenient for travel or dining out. And since dining establishments still don’t have a wide variety of healthy sides with kids meals, pouches help us find that balance. 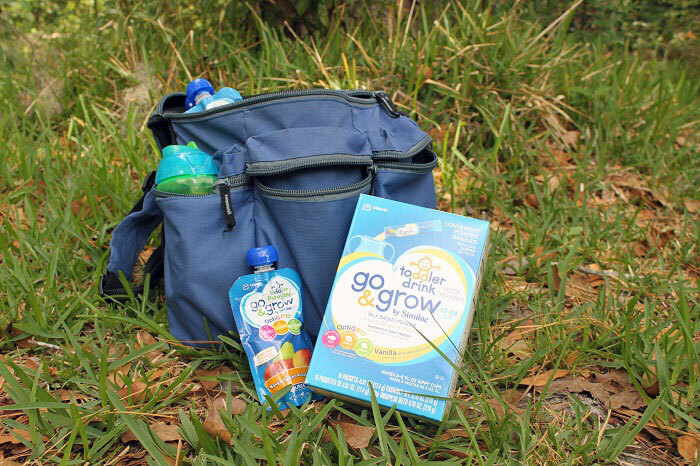 Go & Grow by Similac pouches are even more appropriate for this household. They’re certified USDA Organic, Non-GMO, contain no fillers, artificial flavors or colors and are gluten free. They’re speaking my partially-crunchy language! So, I’m squeezing more fruits and veggies into my tot’s diet in a convenient and fun delivery system! Also “Similac products are based on the latest science and innovation, and Go & Grow pouches are no different. Each pouch has OptiGRO, [their] blend of 32mg of DHA, lutein and vitamin E that supports brain, eye and overall growth and development.” Knowing this, I can feel good about adding these pouches to our routine so that we can hopefully fill the gap during the times he’s less likely to eat more healthy options. 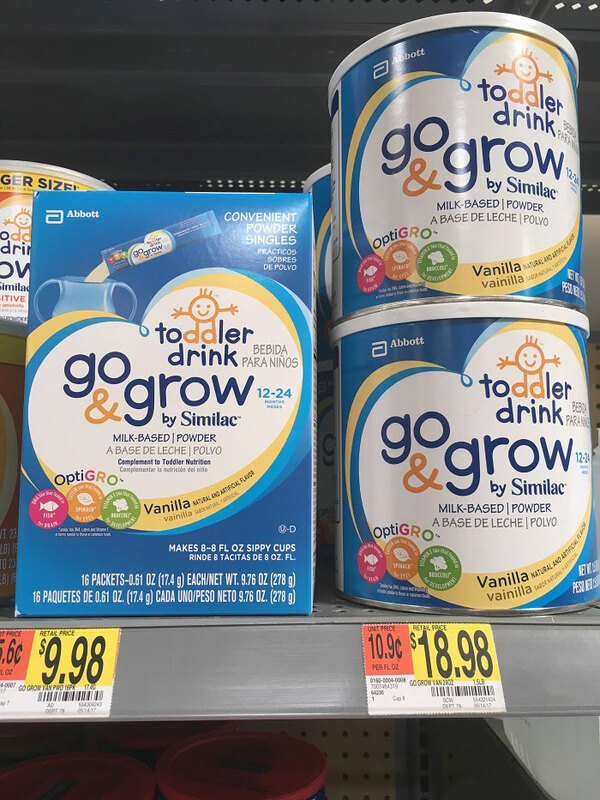 Check out Go & Grow by Similac at Walmart by clicking here. 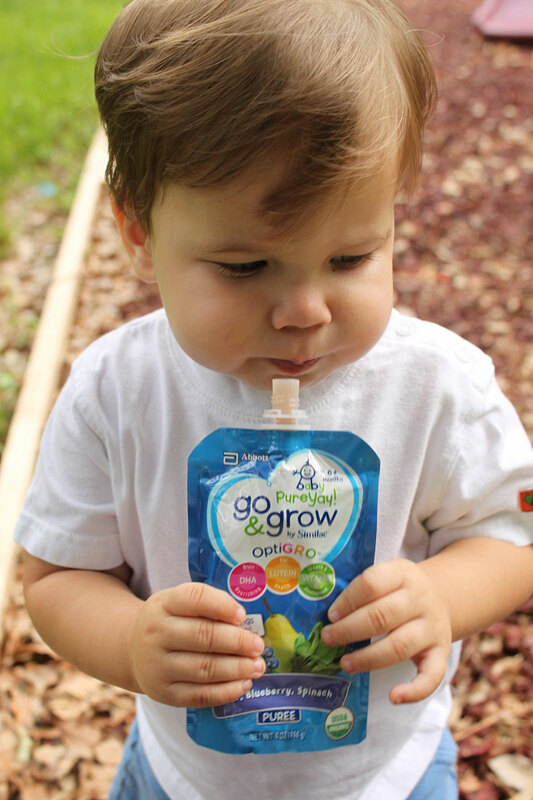 While you’re at it, get $0.50 cash back on IBotta with your Go & Grow by Similac Pouch. I feel like I’m doing a good thing if I load a toddler up on milk. Even though he may not be hungry, he usually won’t turn down a drink. Offer more filling milk than fruit juices to keep his tummy full. Loading up on a sugary drink when they’re not eating really doesn’t help to fill them up. 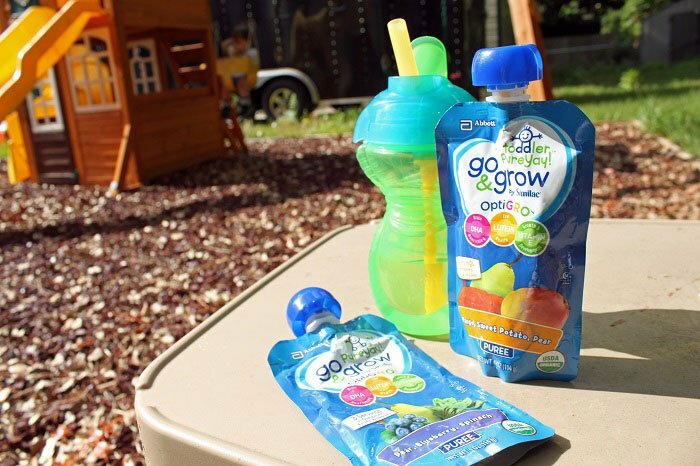 The other option is to give your tot the Go & Grow Toddler Drink by Similac. 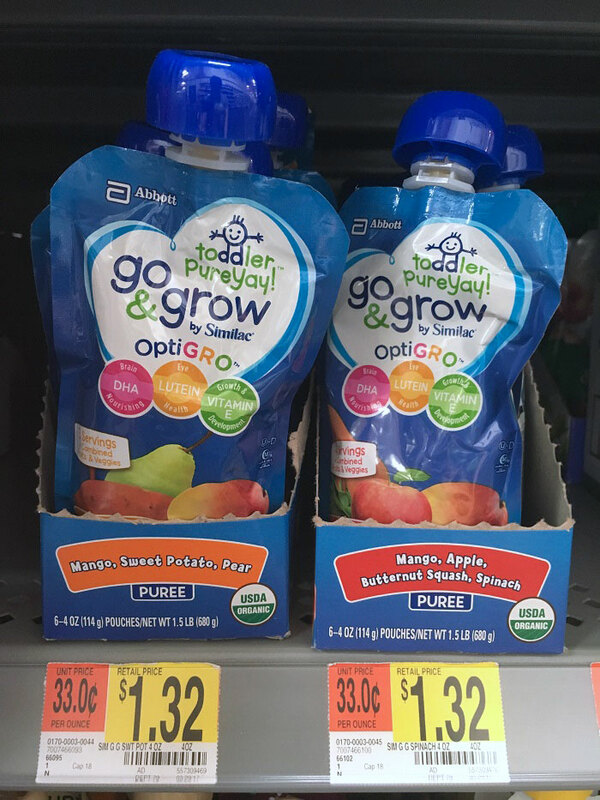 This toddler formula is full of vitamins, minerals, and that awesome OptiGRO blend I just mentioned was in the pouches! You can still fill the gaps with a healthy drink full of nutrients your tot may not be getting in his daily diet. I choose the single packs for easy on the go use, especially as we’re getting ready for summer vacation! Look, mama’s tired and she just wants her baby to eat. As I mentioned previously, offering bribes isn’t beneath us. We do this strategically though. A mini toddler-friendly bite of candy for every bite or two of food isn’t the end of the world. I call this “balance.” If it means he eats his food while getting the junk he really wants, it’s worth it to us. As your toddler gets used to it, you can increase the rate of healthy food to junk during the mealtime bribes. Eventually, you’ll get the kid to eat what he’s supposed to without the bribery during dinner. We can’t force our kids to eat. I mean, not that I’ve found anyway! Some nights, it doesn’t matter what we do, the toddler won’t budge. I see the sign in his face and his demeanor: “Junk or Bust!” We don’t give in. If he’s just as happy to run around the playroom throwing a ball, he may honestly not be all that hungry. DON’T GIVE UP! Continue to offer healthy whole food options! One of my least favorite pieces of advice comes in the form of “feed them what they want” or “you know they’ll eat ‘kid food’.” I believe children’s growing bodies need more nutrients than those found in mac & cheese or chicken nuggets and french fries. While I’m certainly all for the easy and “sure” meals when we dine out, their growing bodies require more than this on a regular basis! And, I’m a firm believer that picky eaters stay picky eaters if they’re not taught to be adventurous. In a Huffington Post article, Dr. Powell states that children should be exposed to food 10 – 15 times without putting pressure on them to eat it before they start to accept the food. I’ve found this to be true with both my kids. Of course, the older they get, the more I urge them to actually try something… “at least one bite” I’ll say. It may not work today, but next week, there’s a chance it does. Oh my goodness, I’m so tired of that phrase. Unfortunately, it’s so often used in an attempt to ease parents’ frustrations because it’s so incredibly true. 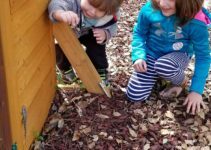 Remember your toddler’s finicky phase won’t last. Well … it shouldn’t as long as you don’t cave and stop trying to feed your tot the healthy food they should be eating. So long as you don’t reinforce their junk-food demands by giving in, you’ll be past this phase in the blink of an eye. Sure, it doesn’t feel that way at the moment. But, before you know it, you’ll be staring at a 5-year-old wondering how they grew up so quickly. And you’re going to want to know you put up the good fight to make sure your kiddo is healthy! 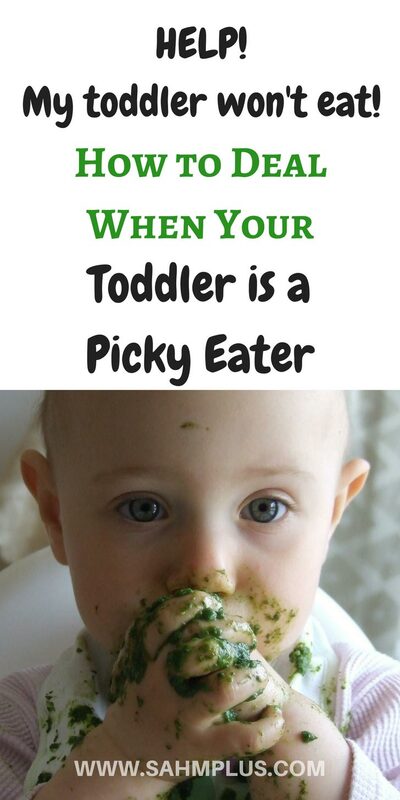 What tips do you have for feeding a picky toddler? I SOOOO agree! I’ve been getting pouches of fruits and veggies for the same reason – my sons will eat them when he won’t touch a real carrot on his tray. So funny. I haven’t tried this brand yet but they follow my food guidelines as well being non GMO and organic. 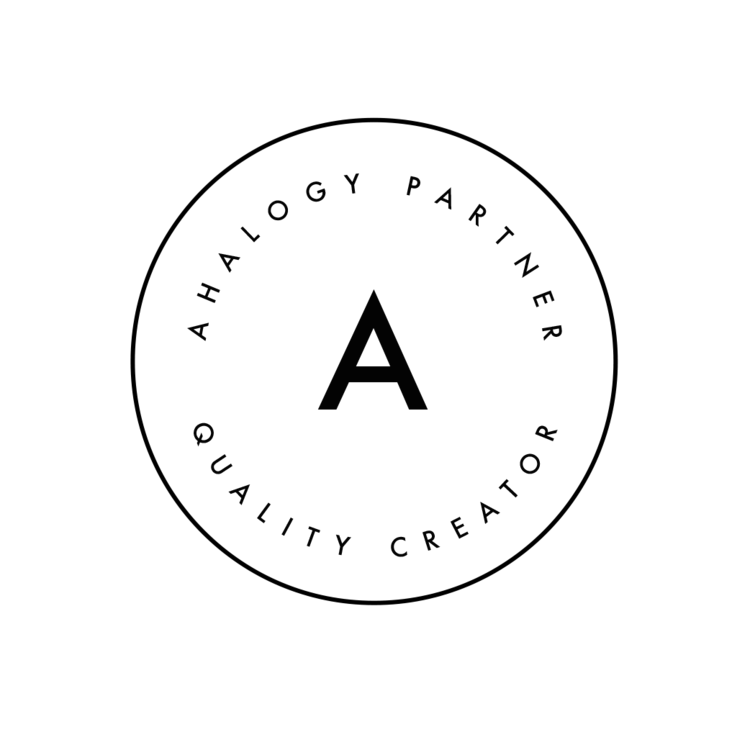 Thanks for the introduction! Those look yummy! I might have to grab a few for when my tot is feeling particularly picky! These look great! Pouches are always in the diaper bag when we are on the go or traveling! My son has turned into such a picky eater! We have tried the powder form and he wouldn’t drink it. I bet he would drink these pouches though! I didn’t know they had them. Thanks!! I keep reminding myself my toddler is just in a phase and this too will pass. Right now he’s about everything orange, and I’m about the easy route with squeeze pouches. He had one for lunch because we were out longer than the snacks I packed. luckily I haven’t had to deal with a big picky eater, but i will definatly keep these in mind in case i get one. Great to know of such an organic food present in the market for toddlers. They can really get fussy for food & there ought to be some savior! We just tried these too-my son isn’t picky at all. He actually loves vegetables and is the only kid I know that will pick green beans over anything else on his plate. We love these as a healthy snack in-between meals! Food pouches are always a win. I’m on my 3rd toddler now, and overall I find just putting the food there and eating my own without a lot of pressure on the toddler does the trick. They either eat or not, but I’ve stopped worrying about it. ? Those food pouches are so great, though, and especially when we’re out!! I am going to have to pick up a few of these before we leave for Disney Friday. My toddler has become a chicken nuggets and hot dog kinda guy, and it is tough some days to get him to eat much else. Thanks for the tips! Great article. I’ll definitely put these tips into practice.